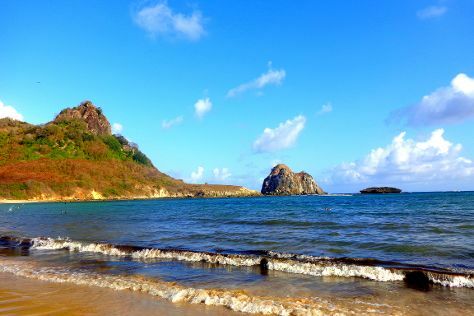 Your itinerary includes some good beach time at Fernando de Noronha and Porto de Santo Antonio Beach. Get a sense of the local culture at Projeto TAMAR Fernando de Noronha - Patrocínio PETROBRAS and Capela de Sao Pedro. And it doesn't end there: stroll through Praia do Leão, kick back and relax at Praia do Sueste, head outdoors with Baia dos Porcos, and see the interesting displays at Shark Museum. To see photos, ratings, and tourist information, refer to the Fernando de Noronha trip planner . In June, plan for daily highs up to 34°C, and evening lows to 28°C. Finish up your sightseeing early on the 15th (Sat) so you can travel back home.